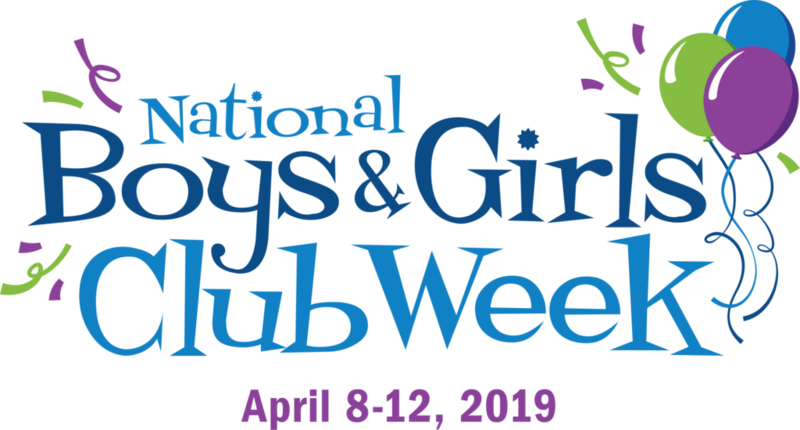 Today Kicks off National Boys & Girls Club Week! America’s youth need a voice and a champion. We are that champion, and together we will do whatever it takes to build great futures. Schedule a visit to one of our 3 Clubs to experience first-hand how Clubs provide high-quality out-of-school time experiences. 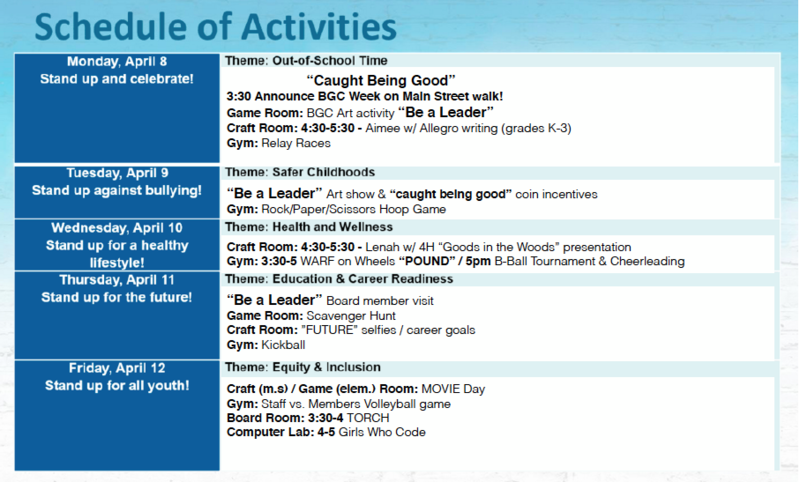 Below is our schedule of Club activities for the week! Club CEO, Lynne Richman Bell will be the speaking about “Putting Leadership to Work: Leading Through Change” at the Fauquier Chamber Business Networking Luncheon this Wednesday April 10th. Everyone is welcome! Register here.